International design forum ( IF ) conducted by IF GmbH has given Weisheu Dibas 64 convection for best design in product design category for year 2011. IF awards are given to best design in product categories for engineering , architecture and other categories . 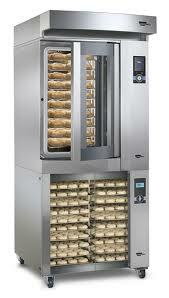 Wiesheu ovens are popular ovens in European market mainly in smaller bakery category . Its German design and features makes it s leading oven for bakeries . Unique features of Dibas 64 that it is the only baking oven in the world with the door disappearing into the oven casing at the side and furthermore convinces with its elegant, clear and timeless design unique in the industry. With features like double glass doors , removable racks ,halogen bulbs and complete S.S constructions with compact modular design makes it perfect for smaller bakeries .